All the apparatuses that you can name as electric devices can be composed of one or more of the main electronic components. An electric device is connected to electricity by means of a switch and some wires; it may have a fuse as well, and if it uses electricity from the wall outlet, it has a plug. 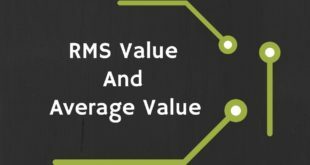 Nevertheless, by main components we mean the following three basic elements: resistor, inductor, and capacitor. We need to learn these components very well and understand their functions, before moving forward. Basically, these three elements have three different functions and their names when addressed imply that each one purely functions as expected, without crossing the border to functions of the other two. Any electric circuit can be composed of one or more devices and some wires. But, ultimately, it can be decomposed into a combination of these basic elements. Not every device should necessarily contain all three of these basic elements. For instance, a light bulb has only a filament; that is, it consists of a resistor only. On the other hand, whenever we have a wire winding (like in a motor or an electromagnet), it can be considered a coil. A coil consists of a resistor and an inductor. A capacitor, however, is a storage device for electricity. It can come in various sizes. Fluorescent lights and flashes in cameras use capacitors. 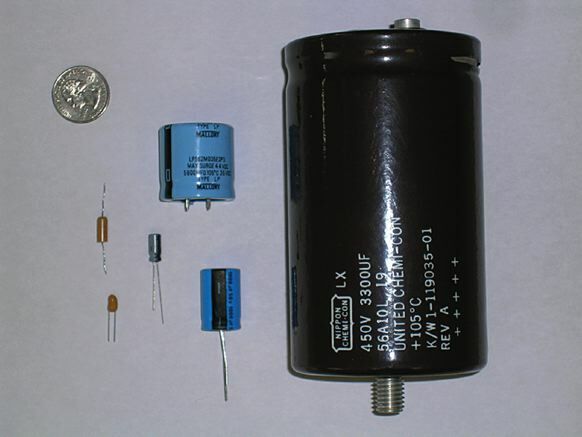 Capacitors are used in many other devices or circuits, such as in motor circuits. Coil: Any wire wound in circles to form a helix, usually with a core to enhance the inductance. There are three main basic electric components: resistor, inductor, and capacitor. A resistor or a purely resistive device consumes electric power and converts it into heat. Examples of resistors are all electric lightbulbs filaments, electric kettle, heater, iron and stove elements, and any other heating element in a device such as an electric water heater. Note that an incandescent light bulb is not meant to convert electricity to heat like a heater, but to light up. However, in this process, the filament is heated to a high temperature to emit light. Thus, the light bulb gets hot, and it can be treated similarly to an electric heater element. Resistor: (a) An electric component that only exhibits resistance (and no other reaction) to the flow of electricity. 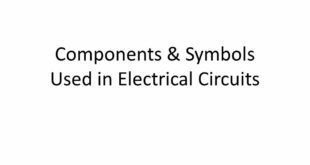 (b) Any of the standard components, made in different physical sizes that are used in electrical and electronic circuits to absorb electrical energy. The way a resistor works is that it introduces resistance to electric flow. In passing through such an element, electrons must consume more energy. This energy appears as heat in the element. 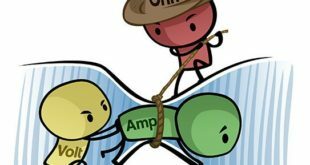 Resistance: (in electricity) (a) The property of resisting (but not blocking) the flow of electric current, leading to limiting the flow and absorbing (consuming) electric energy. Resistance is measured in ohms (Ω). (b) One of the three basic components that any electric load (a device using electricity) can be assumed to be composed of. A heater element or lightbulb filaments are made up of a wire usually made out of tungsten or a tungsten alloy. The primary role of such an element is converting electricity to heat. Nevertheless, in many (electronic) circuits, such as in radio and television, the primary role of a resistor can be something else, but in the process, a resistor gets hot as well. In such a case the heat must be removed by cooling. Figure 1 shows a wire-wound resistor. 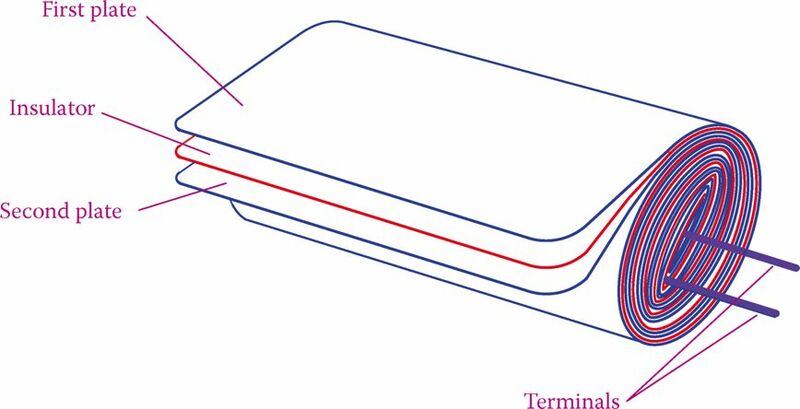 For protection and portability, such a resistor can be encapsulated in a ceramic casing. Resistors of the second category (for electronic circuits) are available in various standard sizes and forms. 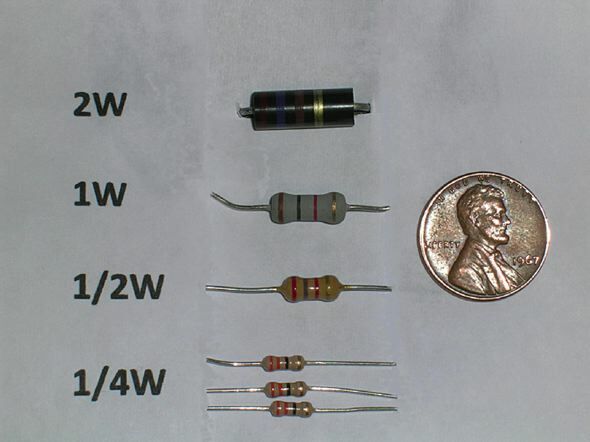 Figure 2 shows some examples of these resistors that are made of other material than a metal and have a different structure than being wound. When used in an electric circuit, a special symbol is used to represent a resistor. Figure 3 shows the symbol for a resistor. 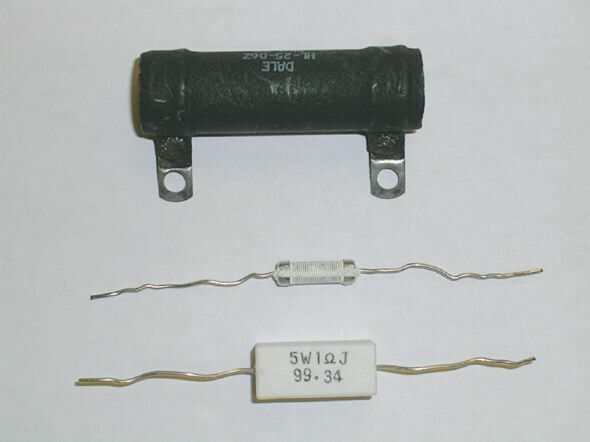 Figure 2 Examples of resistors used in electric and electronic devices. Figure 3 Symbol for a resistor in an electric circuit. An inductor is a storage device that can store electric energy by turning it into magnetism. This storage act is not similar to storing energy in a battery. Rather, it is a short-duration storage for a very small amount of electricity. Practically, a winding as shown in Figure 4 can do this job and behaves as an inductor. That is, a coil made of a wire wound around a support can be regarded as an inductor. An inductor can have a core. The core can be of any form such as a cylinder or prism, and it can be made out of any material such as paper, wood, plastic, or metal. For a metallic core to be useful (and not as a support) it must be a ferromagnetic (like iron and steel or certain special alloys) material. Inductor: A winding (a coiled wire) with only magnetizing property and without any electric resistance. Physically it is not possible to have a pure inductor, but at certain conditions, particularly high-frequency electric signals, the resistance of the coiled wire can be ignored in comparison with its inductance. Ferromagnetic: Type of material from the iron family that is suitable for magnetization. Figure 4 A coil (winding of wire) is the basis of an inductor. Theoretically, an inductor has only the storage capacity without converting any electricity into heat. This is to say that a coil of metal should ideally have no resistance to electric flow. But, in practice, a coil is made of wire, and the wire behaves as a resistor. The physical size of a coil (length, diameter, number of turns of the winding) and other factors define the property of a coil as an inductor. In practice, a coil can be very well accepted as an inductor if the resistor part of it is small. Figure 5 shows the symbols for a coil with or without a (ferromagnetic) core. 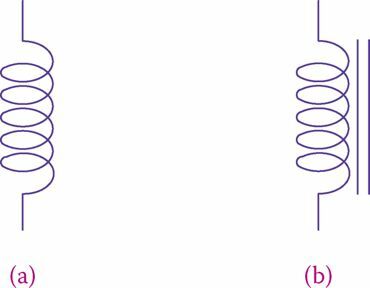 A ferromagnetic core enhances the inductor property of a coil. Figure 6 shows the physical shape of a coil. An inductor stores electric energy, but this storage action is on a small scale and with short duration. Figure 5 Symbol for inductors. (a) Coil without core and (b) coil with a core. Figure 6 Examples of inductors. Figure 7 Symbol for a capacitor. (a) Capacitor without polarity and (b) capacitor with polarity. A capacitor is another electricity storage device but completely different and based on a different structure and property than an inductor. A capacitor stores energy in the form of the electric field, like a battery. Attention has to be paid to the fact that, although we use the term storing electric energy in an inductor and a capacitor, this storage is very small relative to what a battery does. In particular, the difference is more meaningful in terms of the time this energy can be reused. We may charge a battery, leave it charged for a long time, and then use the stored electricity for say one month. This is much beyond the storage in a capacitor or an inductor. For instance, if instead of a (rechargeable) battery, we use a capacitor, it gets charged in a few seconds or less (can be in microseconds); after some time, if the stored energy is not leaked out, we may use it for a period around the same that it took for charging. Figure 7 shows the symbol of a capacitor in a circuit. As shown, capacitors are either polarized (i.e., one terminal must be always connected to the positive side and the other terminal to the negative side of the circuit) or non-polarized (i.e., it does not matter which side is connected to positive). The basic structure of a capacitor is two metallic plates separated by an insulator. In practice, the two plates and the insulator material between them are rolled to form a cylinder, as shown in Figure 8. In this way, a more compact and portable package is obtained. Very small capacitors are made differently and come in a different shape than cylindrical form. Figure 9 shows some examples of capacitors. Circuit: Any combination of electric and electronic components connected together by wires to be connected to an electric source. A capacitor stores electric energy, like an inductor, but in a different way. This storage action is not on the same scale as in batteries. Figure 8 Basic construction of a capacitor. 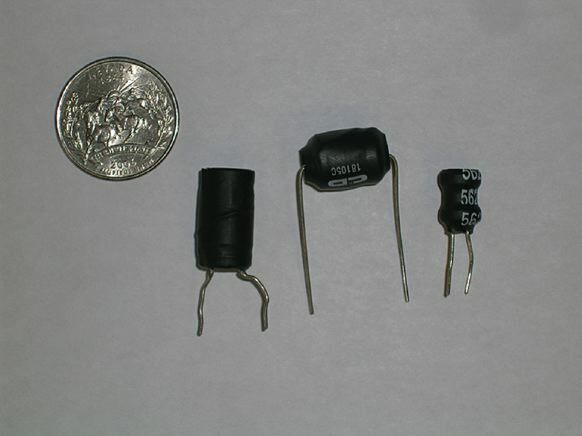 Figure 9 Capacitors with various sizes and shapes.